Jim comes to Smith, Salley & Associates with 50 years of experience in research and portfolio management. Jim retired from CCB/SunTrust after 35 years with the bank after working in various capacities, most recently as senior portfolio manager in the Wealth and Investment Management division. Jim specializes in value equities as well as taxable and tax free fixed income securities. Jim received his bachelor’s degree from Georgia Tech. His post graduate work includes an LLB from Woodrow Wilson Law College and a Masters Degree in Industrial Management from Georgia Tech. Jim was instrumental in the development of the CCB Trust and Investments division, where he worked for over 35 years and managed over $250 million in assets. 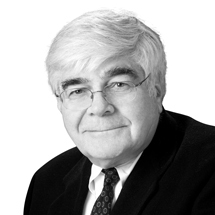 He has 50 years of investment experience in all areas of Trust and Investment Management. Jim is a member of the Durham Toastmasters, Westminster Presbyterian Church and Hope Valley Country Club in Durham, NC.